What if we could… Connect the physical with the virtual to set sparks a flare? There’s magic in starting a fire. It’s a creative, alchemical, elemental, human process. You could say it’s the first and most fundamental technology, a harnessing of humankind’s ingenuity and the natural world’s abundance. So, we got thinking. What if we used the latest technology to recreate the first? That’s exactly what we set out to do with our 4D virtual campfire-starting experience, which faithfully approximated the sights, sounds and sensations of starting a fire with friction and kindling through VR goggles and programmable batons. All courtesy of our Innovation Lab. 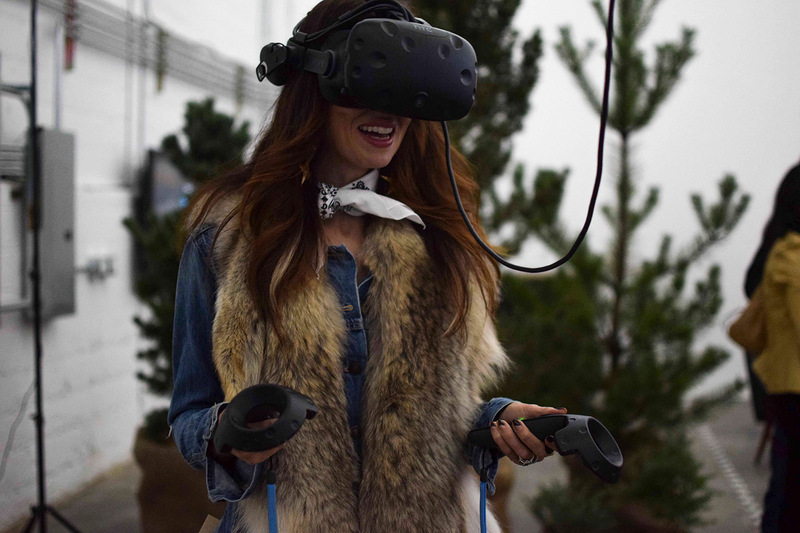 We invited guests to partake in this unique mingling of VR technology and the physical, natural world. What they produced surpassed all expectations. Let’s just say you could see the spark of creativity in their work. 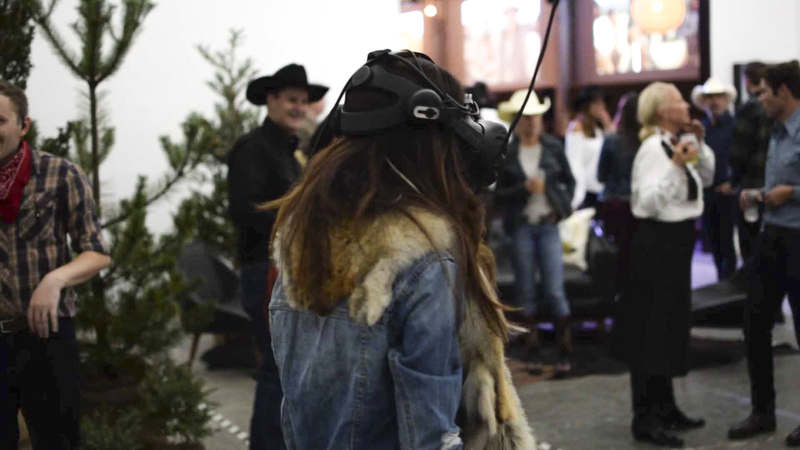 Around an actual fire pit and surrounded by pine trees, our guests were given “sticks” and VR headsets to wear. They soon found themselves transplanted into a campground on an old western trail, looking around at the tent, supplies, and firewood that had been set up during the day. But suddenly—and ever so slightly—the sun began to dip. And it became a race against the clock to create a fire before sunset, rubbing the firewood together to create a campfire alone in the wilderness. While most VR experiences are either static or only responsive to a participant’s actions, ours added another dimension. It was a tactile, immersive experience, brought to life by the physical setting. Where what happened in real life impacted what happened in the forest—and our guests experienced the thrill of competition in a whole new light (or lack thereof). While most VR experiences are either static or only responsive to a participant’s actions, ours added another dimension. 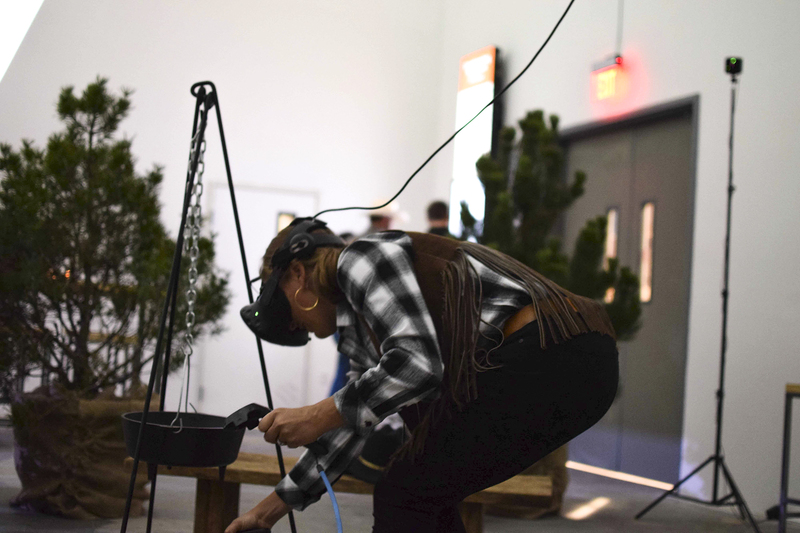 With users able to feel pine trees brushing against their skin, and their fire starter “sticks” causing friction under a real campfire stove, we brought the digital experience into the physical world. 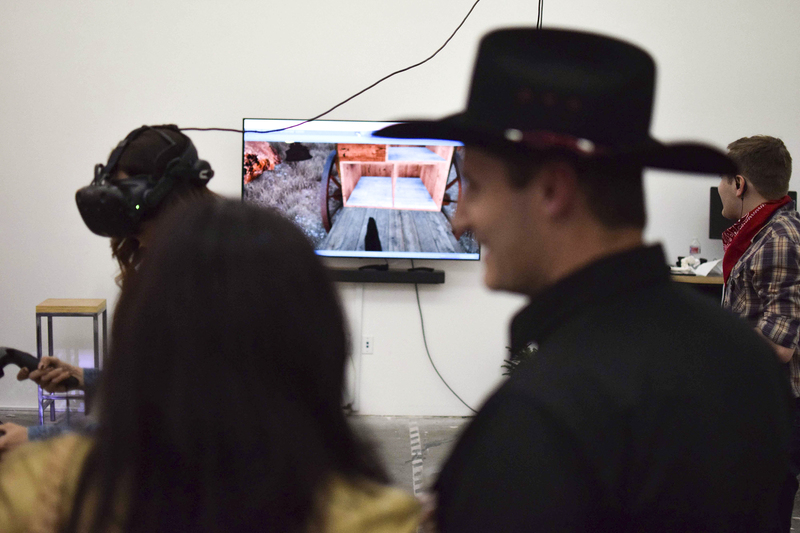 By incorporating tangible aspects – the programmable batons, the real fire pit – along with the realism of the VR tech and the competitive element, starting a virtual campfire became something more than the sum of its parts. It became an unforgettable 4D merged-reality experience, one that was anchored by the physical world, but enhanced in a way that only cutting-edge technology can deliver. And this is what our Innovation Lab specializes in – crafting multi-dimensional experiences that engage on a fundamental level. We mix the physical, digital, virtual and conceptual to create the magical and memorable. Not unlike the mesmerizing glow of a shared campfire.